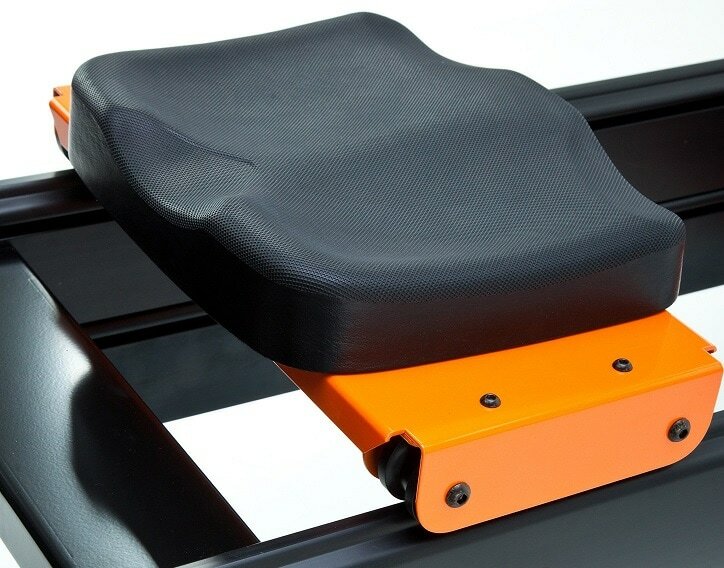 The WaterRower Slider Dynamic is one heck of a rowing machine. ​Note: this review is related to WaterRower's version of this machine, you'll also see it under the brand name of Oartec outside of the US. 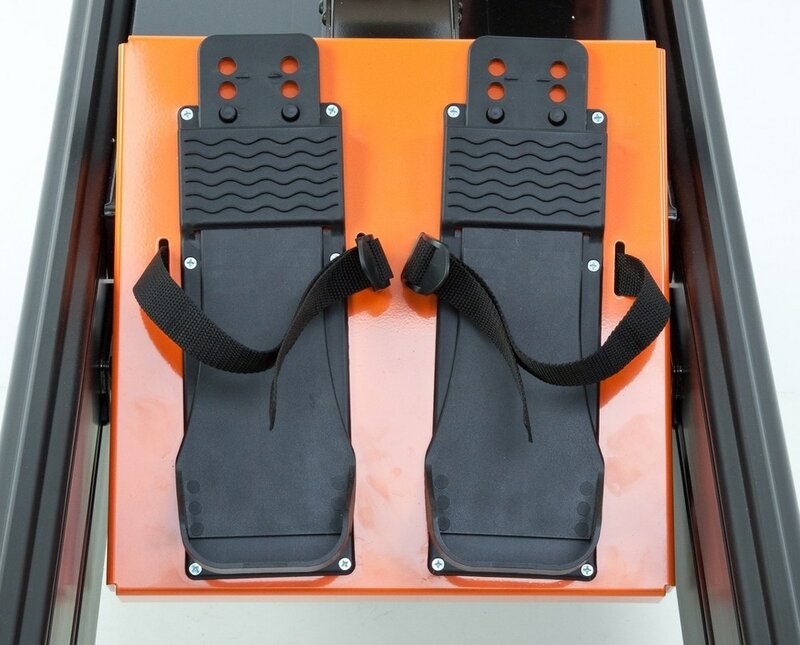 The Slider is designed for race rowers on the water but will also benefit the indoor rower. The dual rails replicate the rhythm and movement of a real boat (see video below) and provide a superior workout in my view as it works your muscles in a better-coordinated way. 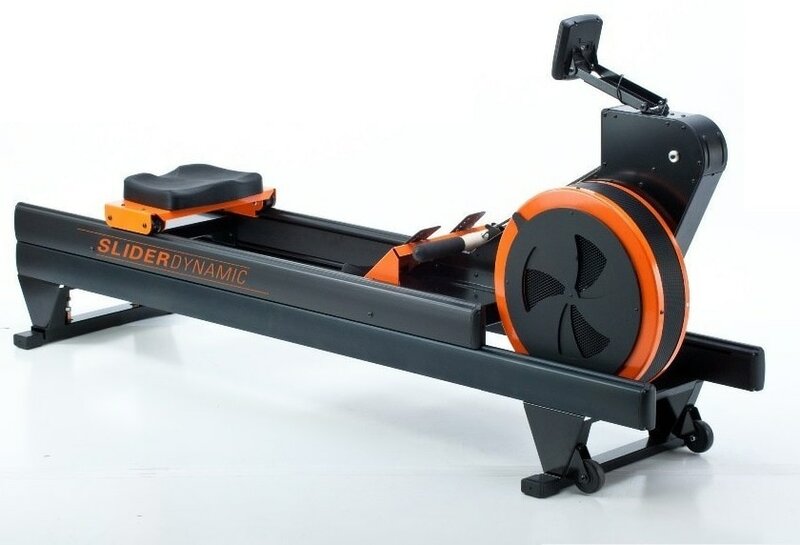 If you do row on water, this is the ideal machine for improving your technique as you can't cheat the erg as you can with a static machine by throwing your weight back to improve your scores - a technique that just doesn't work in a real boat. If injured, the smooth action is great for rehab as you can gently increase your workout with good technique. First up, this isn't the easiest machine to assemble and I'd recommend getting assistance from someone who know what they're doing, or pay for expert assembly on delivery. Once assembled, you won't be able to resist it for a second - it just looks superb and you have to feel the glide to appreciate what this baby can do! The seat is great, the handle has a nice grip and the footrests are wide and will hold your feet firm. But just a word of caution. Those with 'chunky' legs may find the close proximity of the rests a little uncomfortable as your thighs might rub a little. This is what you'd find in a boat, but many indoor rowing machines have them spaced wider apart. The seat is at a good height like you'd find on a gym machine such as a Concept2. So if your knees or back cause you problems, this machine won't as you get on and off. This is an air model with a flywheel and damper to provide the resistance so may be a little noisy in a small space. The machine has to be level for correct use but don't worry if your floor isn't. The Slider comes with a spirit level and adjustable feet to ensure it's absolutely flat. But beware - the Slider needs more space than your normal rowing machine as it extends from both front and rear when you row! When you're finished, the Slider has a locking plate and transport wheels so it can easily be moved and stored out of the way - vertically if necessary. ​While it's not the most exciting monitor I've seen on a rowing machine costing over a thousand bucks, it has all the features and functions you'd expect. I displays all the data you require such as distance, time, speed and also watts for advanced Tabata workouts. In addition, you can also see your average strokes per minute and heart rate. 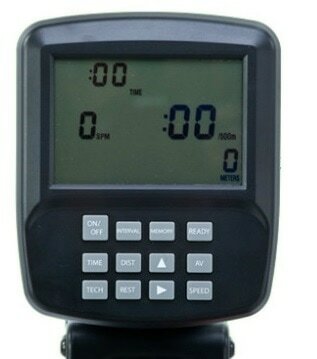 For 'real' rowers, stroke length, drive ratio and drag are also displayed. The monitor is compatible for a chest strap but is not provided with the machine. The display is battery-powered so no mains connection required. It also switches itself off after three minutes of inactivity. A big plus is that you can connect the monitor to your PC (via USB) to record your progress, get access to software updates and use WaterRower's online training and race programs. Note for rowing clubs, the monitor can be linked to other Slider's for crew simulation. 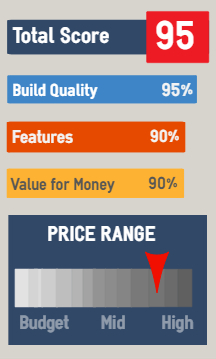 Everything about this machine, from the design, the 'look and feel', the build-quality and finish says 'Quality' with a capital 'Q'. It's a joy to use as you feel the movement from your efforts as you would on a real boat. While the price may look high, it actually represents very good value for money as it requires minimal maintenance and will last for years. I've tried many rowing machines over the last ten years and I have to say this is definitely on my list when it comes to replacing my old Concept2. It also gets a big thumbs from rowers and rowing clubs so it must be good. There's not much to compare to the Slider except machines that cost a lot more. The closest in both price and function is Concept2's Dynamic which we hope to review shortly. Another alternative is the remarkable Floatrower which will be coming to market soon. We'll add Slider user comments when we receive them.